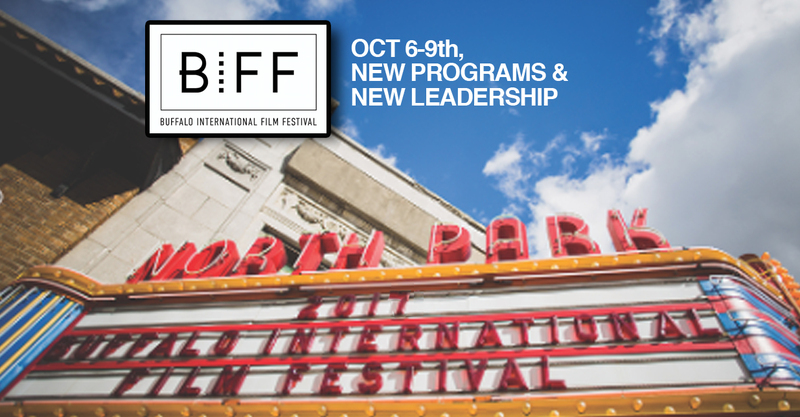 (August 16, 2017) Buffalo, NY – The Buffalo International Film Festival (BIFF), a 501(c)(3) non-profit film festival serving Western New York is excited to announce its 2017 Festival dates, October 6-9th. All screenings and events are hosted locally in the city of Buffalo in partnership with The North Park Theatre, Hallwalls Contemporary Arts Center, Squeaky Wheel Film and Media Art Center, with additional venues to be announced soon. BIFF’s 2017 festival has continued to enjoy increased interest from the creators of top-tier global films, with a 45% increase in submissions, from over 45 countries. This year’s festival will also feature exciting new programming; including a series of multi-media installations around the city of Buffalo, industry and academic panels, parties and performances. BIFF will announce it’s full line-up in conjunction with the re-launch of its website on September 1, 2017. BIFF would like to extend its deepest gratitude to outgoing Executive Director Ray Guarnieri and to founder and Board Treasurer, Renee Russell who have chosen to leave their roles ahead of this year’s festival. In 2015 Mr. Guarnieri took over for founder and former Executive Director Edward Summer after he passed away, and has worked tirelessly to transform the organization from a small, regional festival into the nationally competitive, eponymous festival that it is today. Ray’s 2 years of service have been deeply appreciated by the organization and we look forward to his ongoing contributions to the film community in Buffalo and beyond. After 11 years of service, Ms. Russell will be transitioning to Director Emeritus and the board will continue to seek her wise counsel as it transitions to new leadership. John J. Fink, BIFF’s former Director of Programming has been appointed as Interim Executive Director.